Join maintenance and reliability professionals from around the globe, share and learn new technologies and techniques in the oil and gas industry. 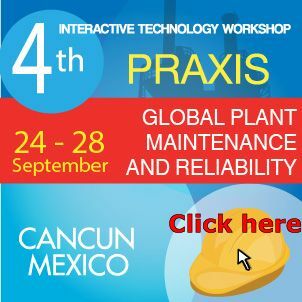 With 4 days of informative master classes, interactive technology sessions, ice breaking activities daily, numerous opportunities to network with colleagues and focus table top exhibition featuring the top service and product providers in various fields, the Praxis Interactive Technology Workshop will exceed your expectations. Register Now..! Looking forward to meet you on September 24th!